Multilene is the name chosen by ERIKS for high density polyethylene with a high molecular weight. One will speak also about "ultra high molecular weight" for quite specific applications. The polymerisation of the gas ethylene is carried out very slowly which causes the formation of very long molecular chains. There is a large variety of different qualities adaptable to all types of applications. The numbers 500, 1000, 2000 identify the type of multilene. It gives an indication about the molecular weight of the polymer. It also possible to provide plates (recently developed) which are a combination of Multilene 500 and TPE (thermo plastic elastomers) layers. This material improves shocks absorbent capacities and also makes it possible to bond Multilene with other material via the TPE sheet. The multilene 2000 types are qualities of ultra high molecular weight. Thanks to addition of particular fillers, it is still possible to improve some quite specific properties. Special material designed for the packaging and machine industry. 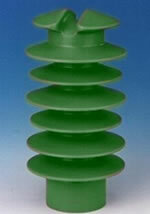 Excellent for use in dry run conveyor applications. The antistatic filler reduces static build up on fast moving equipment. High abrasion resistance and excellent sliding properties. Because of the low coefficient of friction this material allows even lower transmission power. The flame retardant classification is measured to UL (Underwriters Laboratories) standard using the method UL94 = V0, vertical flame test. Enhanced with glass filler which gives a higher abrasion resistance than standard material. Excellent impact strength for tough applications. The 983 is collared black for out door use and is UV-stabilized. 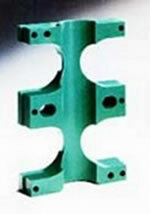 Corrosion resistant and excellent abrasion resistance. On the back side is a rubber compound. By adding special filler, material is able to with stand higher temperatures and still holds its abrasion resistance. Ideal for lining applications were sticking or caking creates a build up of material. Contain a unique antioxidant which protects the material at extreme temperatures. This material grade is used in high temp applications were normal UHMW fails. The material was designed to still operate effectively under lower load, with a temperature range peaking 150°C for a short time.